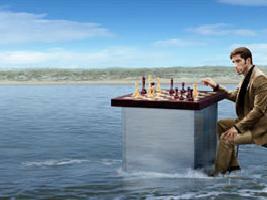 The 76th edition of the traditional 76th Tata Steel Chess tournament has begun in Wijk aan Zee. Here are the first round games. Enjoy replaying them in the Chess King applet. You can pick your own copy of Chess King to use in both your chess training and chess blog publishing from the Chess King shop. For a full report on the first round at Tata Steel Chess 2014, read Chess Blog.